Stock # GEB13184, Intercooled Turbo Diesel V-8 6.7 L/406, Automatic, 73490 mi. 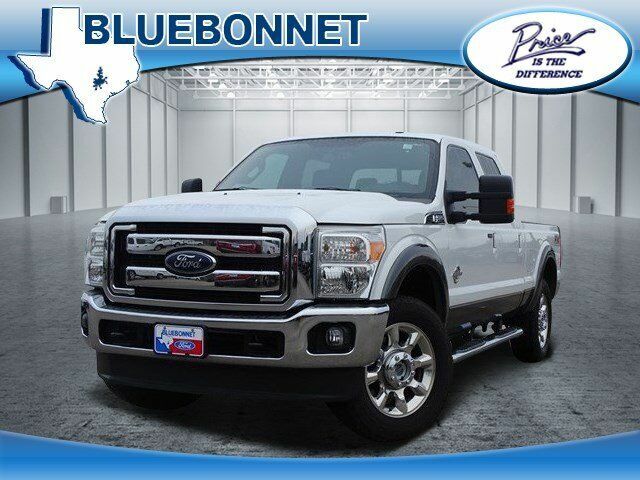 Nav System, Heated Leather Seats, Moonroof, Hitch, Back-Up Camera, Turbo Charged Engine, iPod/MP3 Input, Premium Sound System, 4x4, WHEELS: 20" PREMIUM CAST ALUMINUM, UNIVERSAL GARAGE DOOR OPENER, LARIAT ULTIMATE PACKAGE CLICK NOW! Leather Seats, 4x4, Back-Up Camera, Premium Sound System, iPod/MP3 Input, Bluetooth, Trailer Hitch, Dual Zone A/C, WiFi Hotspot, Heated Leather Seats. MP3 Player, Privacy Glass, Keyless Entry, Steering Wheel Controls, Electronic Stability Control. ENGINE: 6.7L POWER STROKE V8 TURBO DIESEL B20 4 valve OHV, manual push-button engine-exhaust braking, turbo gauges and intelligent oil-life monitor, 3.31 Axle Ratio, 26 Gallon Fuel Tank, Dual 78-AH 750 CCA Batteries, LARIAT ULTIMATE PACKAGE Memory PowerScope Trailer-Tow Mirrors, Remote Start System, Power Heated/Cooled Passenger Seat, Tailgate Step & Handle, Memory Power Heated/Cooled Driver's Seat, easy-entry/exit memory driver's seat feature, Power Moonroof, map lights and moonroof switches, Voice-Activated Navigation, HD and satellite broadcast, Memory Power Adjustable Pedals, WHEELS: 20" PREMIUM CAST ALUMINUM bright hub covers/center ornaments, 5" CHROME TUBULAR STEP BARS, ELECTRONIC LOCKING W/3.55 AXLE RATIO, UNIVERSAL GARAGE DOOR OPENER, TRANSMISSION: TORQSHIFT 6-SPEED AUTO W/OD (6.7L) SelectShift, TIRES: LT275/65RX18E BSW A/S (STD). Edmunds.com explains "On the road, the 2016 Ford F-250 is noticeably quieter than you might expect. ".